Hey Everyone! Russel here again (aka Mr. Love Create Celebrate). 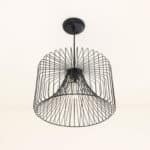 This time I am helping Lindi out with a post from our new Modern Entry. If you’ve ever thought about installing heated floors, I’m sharing why we chose to install them, just how easy or hard it was, and some tips for installing your own one day! When Lindi and I are renovating, Lindi generally deals with all the “pretty parts” (or “design” as she likes to call it) and I usually help out with what I consider the more important parts: function and usability <insert Lindi rolling her eyes at me here>. We always debate on decisions during our renos because we look at the rooms from different points of views. The idea to add heated flooring to our entry actually came from my brother when I was talking about the room with him one night. It was his suggestion that got me thinking and I starting some research. I didn’t take me long to realize the heated floors were a must! As we live in Northern Alberta it can get cold (I personally don’t think it’s that bad but if you were to ask Lindi what it feels like on a -40 ⁰C day, she would tell you we live in a frozen tundra…) so the thought of a nice warm floor when come in from freezing outside seemed like a pretty awesome feature. 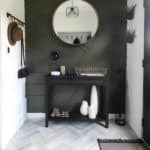 We also tend to track snow into our entry way in the winter, and the heated floors will help dry up any snow or puddles faster than a normal non-heated floor. Once we decided to try out the heated floor we picked up all of our materials. 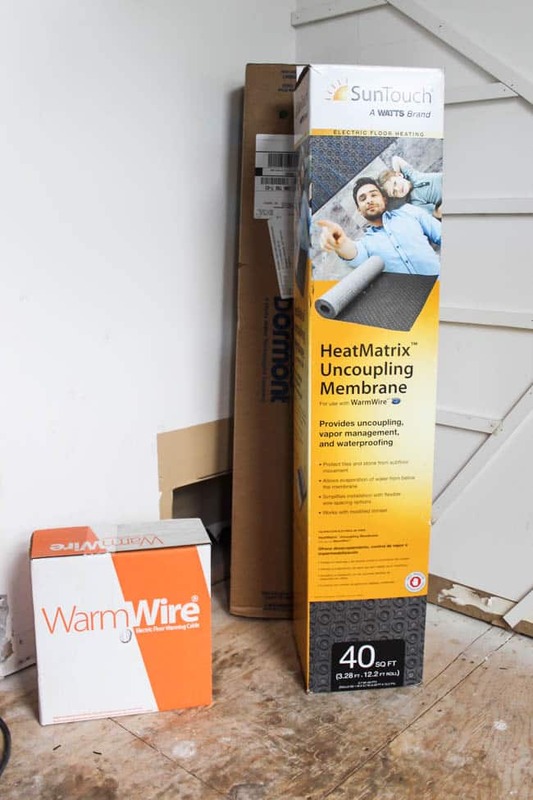 The thermostat and thinset were from our favourite local flooring store, and teamed up with Warm Your Floor, who sent us the WarmWire heating cable and uncoupling membrane . 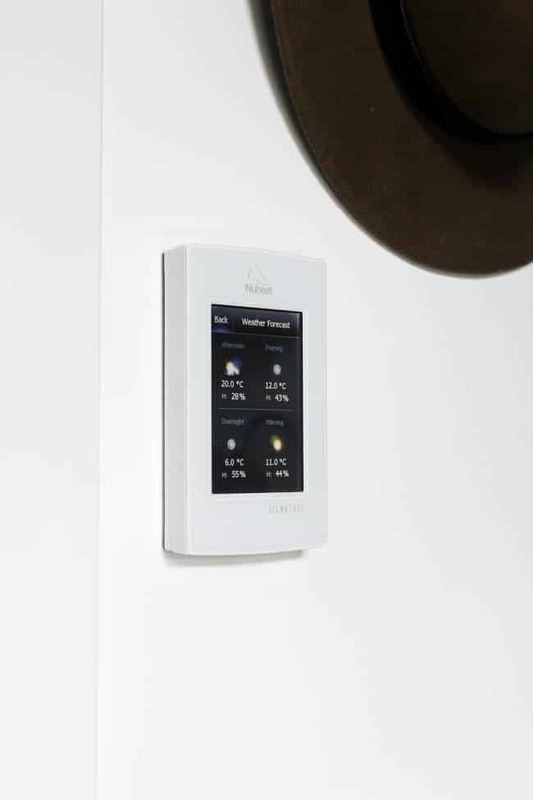 We went with a Nuheat Signature Thermostat to regulate the temperature as it works with our Nest system, showed us the weather, had a great programmable schedule and allowed us to control the thermostat with our phones. 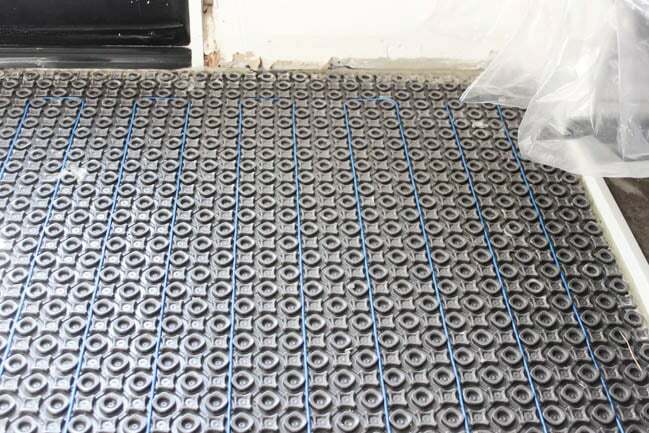 Now that we had everything here are some tips to think of when planning your heated floor system. If you have doors in the room check your clearance. 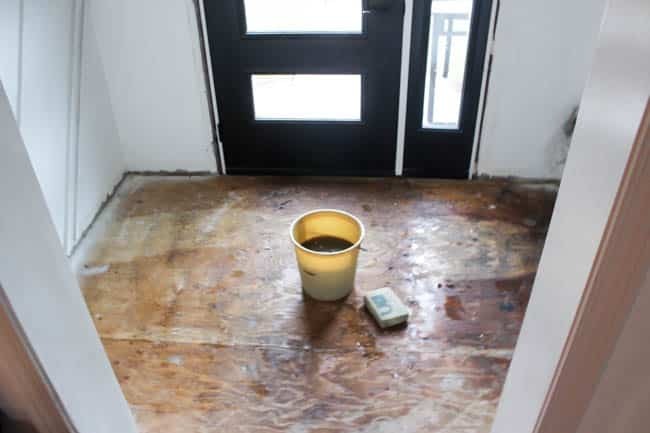 Lucky we had a layer of linoleum and plywood we could remove to allow for the height of all our flooring layers (i.e. thinset, uncoupling membrane, thinset, & tile). As we were installing a new front door we were able to raise it in the opening slightly to allow for the door to open and close smoothly. 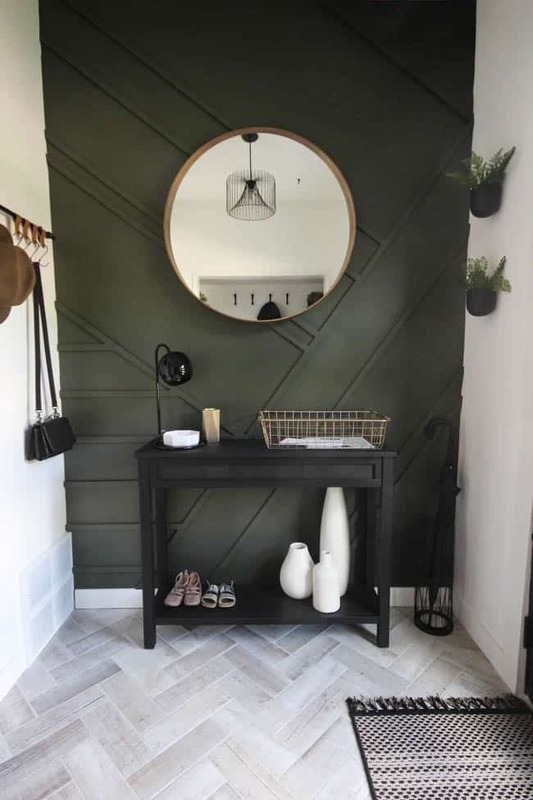 If you are dealing with interior doors you may be able to trim your door and install a transition strip to deal with height difference. 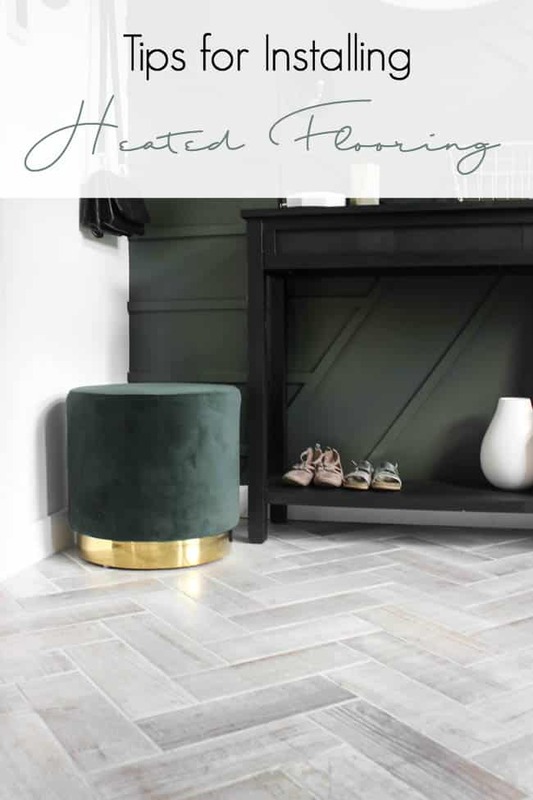 This is the first thing you should consider when deciding whether or not to install heated flooring in your space. You are going to need a power source for your heated flooring which requires some electrical work. The system required a GFCI (ground-fault circuit interrupter) breaker, luckily I was able to discuss how to correctly complete the wiring with my father in-law who is an Electrician. Always hire or consult an Electrician as it is important to complete the wiring properly and to code. When you measure your area of the room remember to take in consideration toilets, bathtubs, vanities, etc. as you don’t want your heating cable to run under these fixtures. 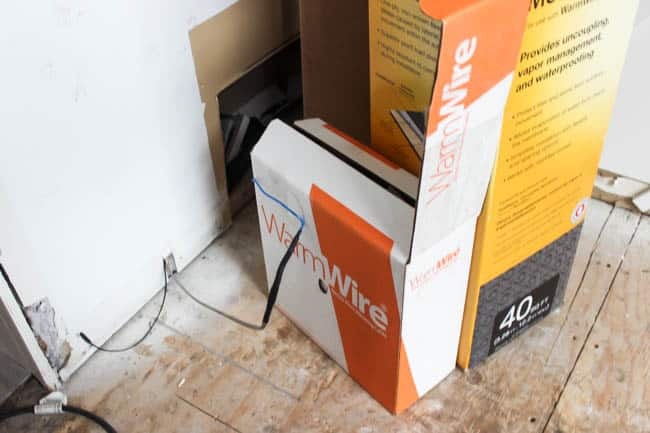 You can’t cut the wire shorter so take your time and make sure you get an accurate measurement of the space you want to install the cable in. It’s better to be on the small side than have extra cable to deal with. Running the cable too close together, too close to walls, or too close to fixtures can cause issues later on, so always follow the manufactures recommendations. Now that your addressed the above you can move onto the fun stuff, the install! Clean the surface you want to install the membrane on. Cut and lay out the membrane first before applying the thinset to ensure everything fits properly. Once you have the membrane ready, mix up and trowel on your thinset and lay your membrane. I used my grout float to push the membrane down and squeeze any excess thinset to the edges. I let the thinset set and installed my wiring the next day. Once your wiring is installed you can hide all your hard work and set your tile floor. 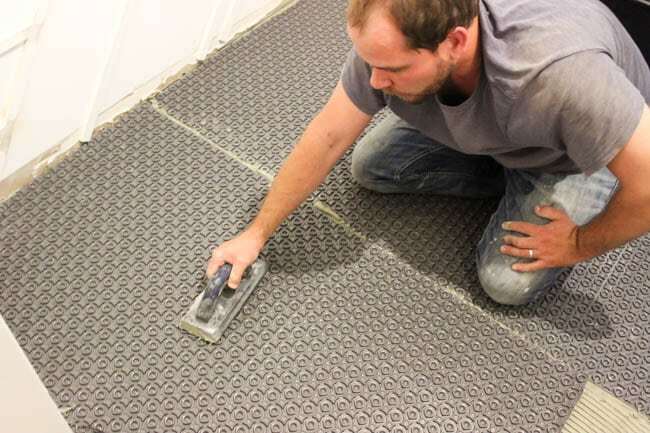 Let your thinset and grout set as per the manufactures recommendations prior to turning on your new heated flooring. 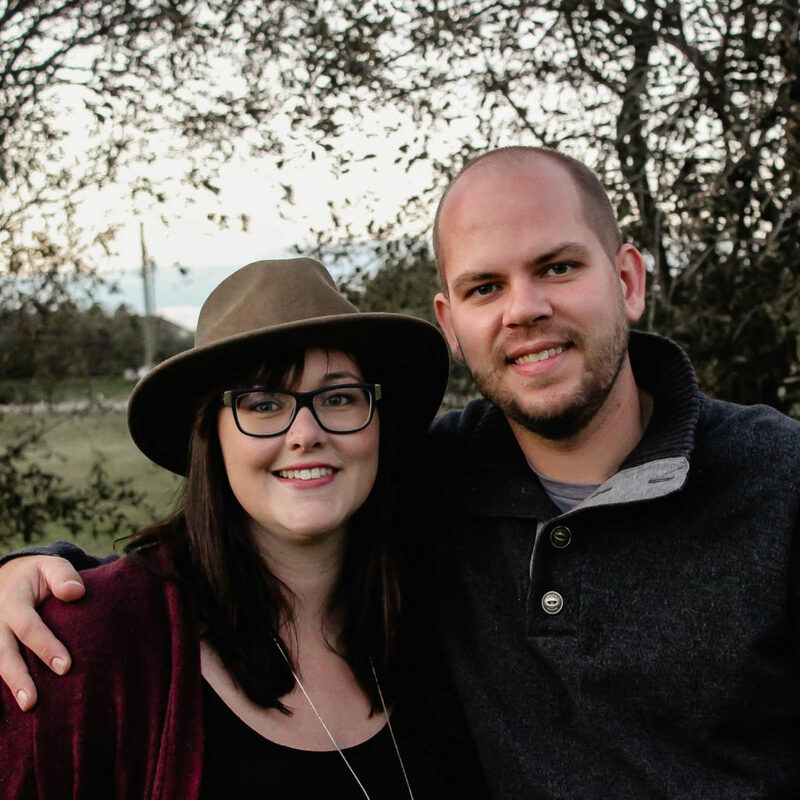 Don’t tell Lindi but I am actually excited for this winter – I can’t wait for it to get cold so I can try out our new heated floor! 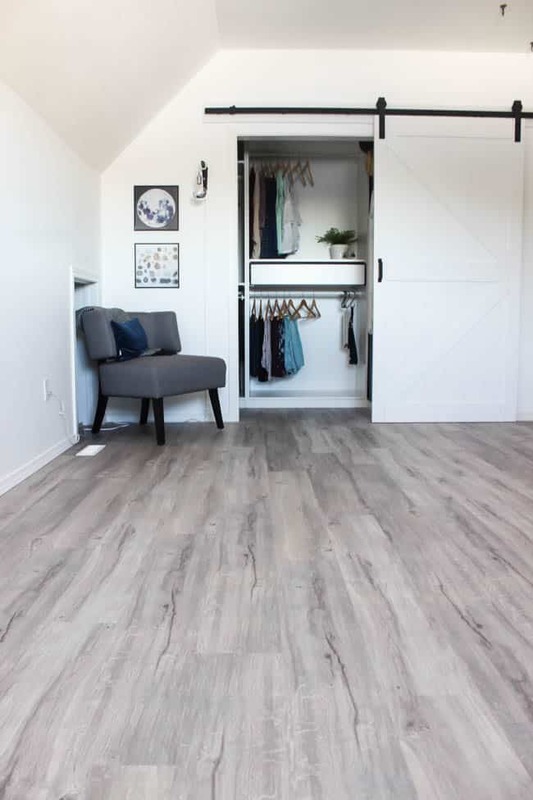 If you’re looking for other great flooring options, here’s a great video tutorial for installing Vinyl Plank Flooring!